Precast foundations and Accelerated Bridge Construction techniques utilized to facilitate the replacement of two community bridges in two days each. The Waverley Road is a high traffic density artery for commuters traveling from Waverley to Halifax/Dartmouth. 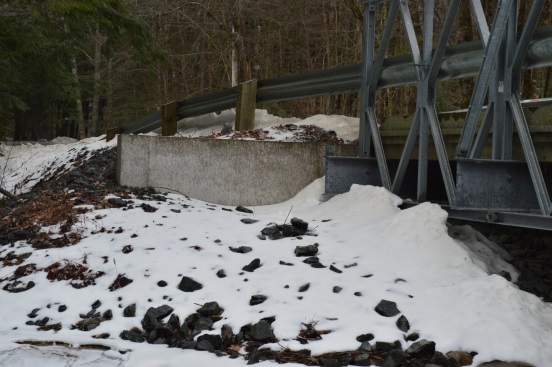 Harbourside Engineering Consultants was hired to develop and design panel bridge abutments for two separate structures that were to replace deteriorated timber bridges that provide the only access for residents of a subdivision located directly off of the Waverley Road. Since crossing these bridges is the only means to get in and out of the subdivision, accelerated bridge construction techniques were implemented to facilitate replacement of each bridge and to minimize road closure times. The first structure, Little Rawdon River Bridge, was a 15.24m single span panel bridge structure and the second, Golden Brook Bridge, was a 9.144m single span panel bridge. 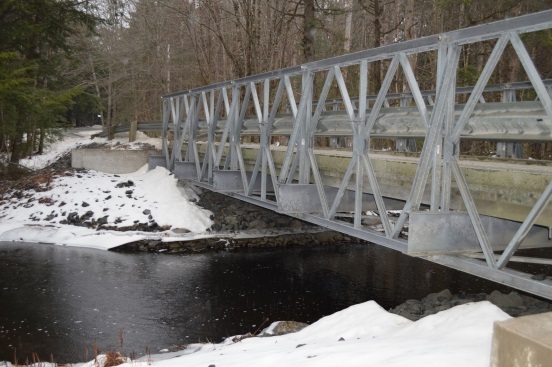 The rapid replacement of the existing timber bridges was accomplished through the use of precast modular footings, beams seats and ballast walls. With careful planning, and innovative construction and erection techniques, the existing timber bridges were each removed and replaced in two days. 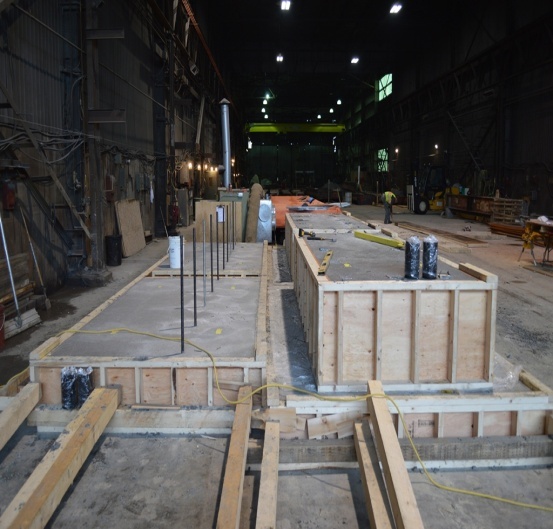 The panel bridges were assembled in a small staging area beside the existing structure while the concrete components were constructed in a precast plant in Dartmouth and shipped to site. To facilitate the quick assembly of the foundations and to mitigate the size of equipment required on site (installation was completed with excavators rather than cranes), each abutment was comprised of 5 pieces: two foundation pads, two beam seats and one full width concrete ballast wall.